Hap has been a licensed insurance agent with Sanford, Bruker, Banks, Inc. since 1989. He is a life long resident of Augusta except for a twelve year period during which he attended the University of Georgia and was graduated from the School of Journalism with his Bachelor of Arts in Journalism. He majored in Advertising with a minor in Marketing. Upon his graduation Hap remained in Athens and helped start what was to become an award winning weekly newspaper; the Athens Observer. He rose to advertising manager. Before returning to Augusta he also was instrumental in the founding of the Georgia Theatre Music Hall. Hap returned to Augusta in 1980. After numerous years as the territorial manager for the Sperry & Hutchinson Corporation, and the recipient of some of the company's must prestigious awards, he was given the opportunity to join the staff of Sanford, Bruker & Banks. Hap is a past Board Member as well as a former President of the Independent Insurance Agents of Augusta. He has served as a Director of the Augusta Kiwanis Club and also as it's President. 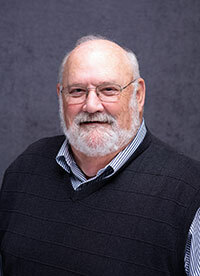 He is a founding member of Quail Unlimited, Inc., and served on it's National Board of Directors for nineteen years. Hap has been on numerous charity Boards and is the Past President of The Lydia Project- - "where women coping with cancer are not alone." Hap has been married to his loving wife, Frances, since 1982 and now enjoys a grandson, Jack and a granddaughter, Harris. Hap and Frances have been active members of Aldersgate United Methodist Church since 1983.